The keynote speech will take a broad look at the global luxury market, the latest trends and where growth is coming from, including luxury tiers, categories, markets and channels. In an increasingly disruptive world it is important to be able to identify the profile of luxury shoppers, including age, how they are behaving and what they are expecting/looking for. The impact of digital is only growing and we will look deeper into what this has been to date, who the winner and losers are and what the outlook is for the luxury market and the players in it. 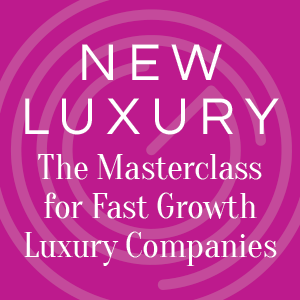 Our opening session will provide an honest insight in to the issues which keep GCs in leading luxury brands awake. What are the common challenges and what solutions are being identified? How are the changes which are driving the luxury sector – digitisation, diversification and collaboration – impacting on the nature of in house practice? Where and how are our panellists using outside counsel to support the in house legal function? Sustainability: what’s driving the agenda and how can your business evolve to meet and stay ahead of demand? What is driving the agenda? We will look at the changing expectations of consumers, social media pressures and legal reform on sustainability reporting. How can innovation help businesses to meet these demands? From supply chain transparency to new materials, what tools are businesses using to comply with their obligations? How do you evolve your business and build a sustainable brand? How can businesses implement sustainable development goals and protect and promote their investment in business practices while still growing? How to choose a brand ambassador, what makes them a success and how to address if someone representing your brand behaves badly. When and how a legal team is brought into marketing and what role your legal team fills in the development of marketing strategies. The role international politics and legislation plays in marketing approaches and activities, including the difference between global and regional strategies. Technology is transforming the cosmetics industry, and many companies are taking the confusing and overwhelming prospect of shopping for beauty products to a new level of experimentation and fun for consumers. Smartphone applications, virtual makeovers and color matching technology can narrow a client’s choices to a few key products they would like to try on and ultimately purchase. As more companies are finding ways to allow clients to explore and experiment, it is a strategic imperative to consider how technology can enhance the buying experience. Design rights – Why it’s essential to know what these rights are and how you can use them to protect your business. Many luxury brands create high quality and valuable designs that are capable of intellectual property protection at an EU and UK national level. 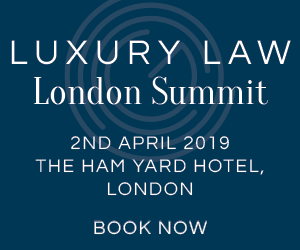 In the first half of the workshop, expert lawyers at Wiggin will offer an interactive discussion on how UK unregistered design right interweaves with European-derived design rights to provide a useful package that luxury brands need to be aware of. We will also answer your concerns on how these rights will be affected by Brexit. In the second half of the workshop, expert brand analysts from INCOPRO will provide an interactive discussion based on some practical case study examples that show how design rights have been used to ensure that online platforms remove the sale of knock off items. Why do some platforms accept these rights? Which platforms don’t? What can you do about that? Arrigo Cipriani, son of Giuseppe Cipriani, the founder of the world-renowned Harry’s Bar will set the scene in defining luxury hospitality. Bringing his 60-year experience as a restaurateur, Mr. Cipriani will take us on a journey where we will look at whether luxury is a state of being or the mere possession of certain goods which we consider luxurious. 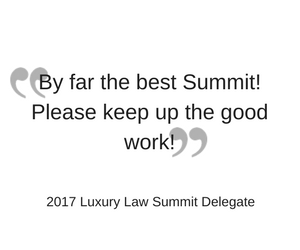 We will look at the significance of service that separates luxury from snobbism and how luxury hospitality can make the impossible happen. Mr. Cipriani will talk us through the complexity of simplicity which his restaurants are renowned for. 2017 was the year the issues of workplace sexual harassment dominated the public conversation. As the year closed, the media spotlight was firmly focused on sexual harassment and the far reaching #metoo campaign. But it hasn’t just been about sexual harassment – the Hampton-Alexander review showed that women remain under-represented at senior levels across all sectors and the pace of change needs to be accelerated. Over the years, a number of public and private sector initiatives have failed to make the sort of lasting change that we would all like to see. We want to translate the impetus created by 2017’s media scrutiny into long-lasting improvement in women’s experience of work. We recognise that creating a lasting change requires a multi-disciplinary approach – focusing on separate legal, political, cultural and structural solutions is unlikely to lead to effective or sustainable outcomes. This session is an opportunity to explore the issues affecting organisations and their female employees. We don’t have all the answers – but we hope this will be a forum to share thoughts and ideas (and successes) and the start of an open conversation about what we need to do to achieve lasting change. This session covers strategic planning on issues of brand-protection, managing retail partners and addressing parallel trade in the light of recent legal developments. These areas are fraught with possible competition law issues, but are also areas of opportunity where up-front strategic planning can allow for more effective systems to improve your results. Bridging the divide: What now for luxury businesses with gender pay gaps in the UK? 4 April 2018 marked the deadline for large employers to compulsorily publish their gender pay gap information following new legislation introduced by the UK Government last year. For the first time, this information is now in the public domain and the media scrutiny has been intense. An overwhelming number of employers have reported pay gaps adverse to women, including many businesses in the high-end luxury market. The fashion retail also sector showed the biggest gender pay gaps, highlighting that women are paid less than men across their businesses. And like many other employers, an absence of female representation in senior roles almost certainly has a part to play, and one of the challenges will be how to address the “gender-leadership gap”. The current high profile of gender pay gaps also shines the spotlight on equal pay. Whilst it does not follow that a gender pay gap means that women are being paid less than men for the same job, there is no doubt that questions about equal pay will inevitably arise, and the risk of pay challenges by employees may increase. Recently, the private sector has seen an increasing trend of equal pay claims being brought in the employment tribunal. 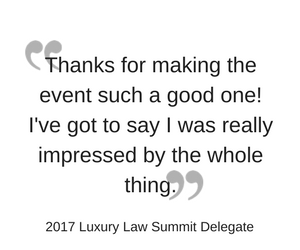 This session will be an opportunity to discuss the issues with like-minded businesses and legal experts to consider the challenges and opportunities arising from pay equality for businesses in the luxury sector. In 2012 and 2014 Sony faced two massive hacking attacks. The first was by the Anonymous group. The second, from a group calling itself ‘Guardians of Peace’, locked-up Sony’s intranet for weeks, and leaked swathes of confidential data from the Sony Pictures studio. Even though these were both criminal acts, Sony faced criticism on all sides. Jonathan Pearl will share key learnings from these two crises, and what practical steps you can take to protect your brand when you suffer major cybercrime. Jade Jagger, artist, creative director and visionary jeweller joins us for an interview with Jonathan Russell, where we will learn about the many facets of the Jade Jagger design brand. 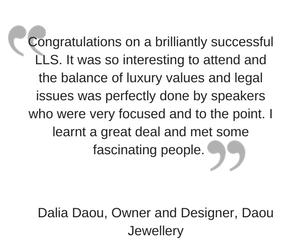 Jade will share with us the legal challenges she faced when setting up Jade Inc, producing her colourful, bohemian aesthetic of one-of-a-kind jewellery pieces and growing this to become a global business. We will hear about her experience working with John Hitchcox and Philippe Starck and yoo, designing chic apartments internationally under the creative directorship ‘Jade Jagger for yoo’. Not content with designing world famous interiors and jewellery, Jade will talk us through how she expanded into fashion, designing couture and luxury pieces, which were sold alongside her jewellery at the first Jade Jagger store which launched in November 2009 on West London’s All Saints Road.